Typically, not much thought is put into energy, where it comes from, and how it’s used. Energy in all of its forms is part of everyday life and has a huge impact on the United States. From President Obama’s rules on climate change to the ongoing debate over fracking and the Keystone XL pipeline, the topic of energy is brought up often. Looking at the numbers of how Americans use their energy is both fascinating and shocking. Electricity is so much more than just flipping a switch. As a comparison, the worldwide per-capita energy consumption is 21,213 kilowatt hours per year. 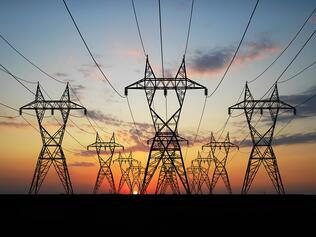 In the United States, that number jumps to 98,418 kilowatt hours per year. The generation of electricity comes from more than one place. It’s produced from a mix of coal, natural gas, nuclear, hydroelectric, solar, wind, and geothermal. 34% of our electricity comes from coal, but that number is steadily dropping. In a little over ten years, 138 coal plants have retired and while it is still the highest source of electricity, it won’t stay that way. The fracking boom in the late 2000s caused a huge influx of cheap natural gas which burns much cleaner than coal. Shortly after, the EPA created tighter regulations on mercury, sulfur, and other coal pollution. In some cases, it is more cost effective to shut down the plant than it is to make it compliant. Because of that, many utility companies are closing their least-efficient plants with more closures planned. With all of this, the EPA is expecting coal-powered electricity to drop to 30% or lower by 2030. Natural gas is rapidly taking place of coal plants. The plants are smaller, cheaper to build, and easier to control to adequately respond to market demand. Thanks to the fracking boom mentioned earlier, utility companies are expecting to be able to rely on a steady supply of natural gas for many years. With less than 5% of the world’s population, the United States is home to 1/3 of the world’s automobiles. A little over a gallon of gasoline per day per person is used in America and the average driver will drive 12,000 miles per year and go on one round-trip flight. That number is expected to grow. Transportation in the United States is the most inefficient and is where the majority of our energy loss comes from. As a country, the US uses 19 million barrels of oil per day and the country is producing 62% of the oil it needs. However, oil production is up to 9.7 million barrels per day, the highest it’s been since the 1970s. Fracking and horizontal drilling has allowed companies to get more oil from shale rock and other difficult rock formations. There have also been significant improvements made to off-shore drilling capabilities. Couple all of those improvements with new regulations on car and light truck fuel economy, and you’ll see that foreign imports have dramatically fallen. In general, the overall carbon footprint from the United States is on the decline. There is still a long way to go and many ways to improve, but we are headed in the right direction. Learn more about home energy in York, PA. Learn more about home energy in Lancaster, PA.